The Protection Project is a human rights institute founded in 1994 to address trafficking in persons as a human rights violation, The Protection Project focuses on the promotion of human rights values throughout the world. Our emphasis is the protection of human security, especially in women’s and children’s rights; fostering civil society and NGO development through capacity & coalition building; enhancing the rule of law by encouraging citizen participation; advancing human rights education. 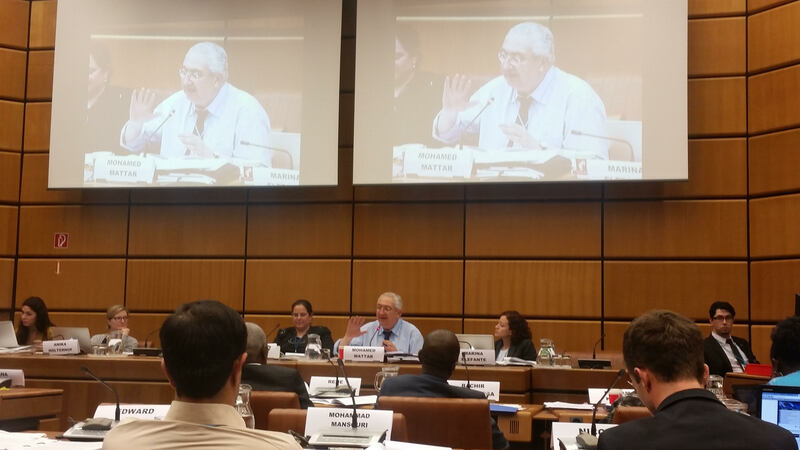 Dr. Mohamed Mattar, Executive Director, and Marina Elefante, Director of Rule of Law Program attended the UNODC Expert Group Meeting on a Model Law on Legal Aid in Criminal Justice Systems, which took place in Vienna on June 1-3, 2015. Dr. Mattar and Ms. Elefante serve as the drafters of the UNODC Model Law on Legal Aid in Criminal Justice Systems, which is a technical tool of legislative assistance, designed to assist countries in the enactment or reform of criminal legal aid legislation. The Expert Group Meeting brought together experts in the area of legal aid from different countries to review and discuss the draft Model Law and to share experiences as well as good practices on legal aid laws.